The following is a reflection from the Rev. Tega Swann, a pastor at Refreshing Springs Ministry and a member of Beaver-Butler Presbytery who received a Student Study Grant from the Synod of the Trinity in June of 2017. The grant, which was underwritten by the Mary L. Clark Ministry Study Grant (which provides financial assistance to residents of Pennsylvania who are engaged in studying for service in the Presbyterian ministry), helped support her exploration of the Theology of Missional Congregations at the Pittsburgh Theological Seminary. develop a biblically-rooted and theologically-informed understanding of the missional congregation. form a theological vision for our congregations as a placed, called, and sent people. articulate a missional and adaptive challenge for our congregations and contexts. understand the habits, postures and practice of communal missional discernment. With Dr. Hagley’s guidance, all six pastors were guided and encouraged to have a mutually-vulnerable and honest conversation about our personal lives, ministries and ministry contexts. The result was an unforeseen growth in appreciation for the ministries of other pastors and a mutual caring that allowed us to weigh in and brainstorm about our various roles, responsibilities and ministries. The end result was a new perspective for each of our ministries that involved appreciation for the insight and contributions from the experience of the other pastors and their various presbytery practices. We addressed weaknesses and strengths in light of the church’s mission in the world and prayed for one another. On our first day together, we were divided into groups assigned to various parts of the city of Pittsburgh. Our task was to tour the neighborhoods and observe ‘life’ in the community. We walked around, looked and visited several businesses and organizations, including churches to get their perspective on what life was in their neighborhood. We heard stories of courage, pride, hope and fear. This ethnographic exercise demonstrated just how much we were often blind to the communities in which we lived and served and how much more aware of God’s activity in and through the people of the community we would be, so that our churches are able to ‘participate’ in what God is already doing. Such an approach recognizes the part of others outside our church contexts, reduces the burden of the savior-complex of the church, but also makes us properly identify what role we might play either in advocacy and or partnership. The overall intent showed us how such an approach expanded the church’s sphere of influence and effectiveness beyond the church building and walls. As part of our preparation for this program, we were encouraged to describe and write about our congregational vocation. This was an eye-opener for me as it helped me realize that the church (people and their activity) were equally called/placed by God in our community for a purpose. We verbally crystallized our particular congregation’s makeup and activity in our community and related that to the a ministry of participation with God and community. Every church has a calling and is particularly fitted/adapted to accomplish that calling in the space it occupies. This was the question I wished to be asked about the impact of the ministry experience upon my own vocation as minister to a very poor congregation. I am happy to say that the two weeks I spent studying, reflecting and brainstorming with other pastors revealed the latent potential of my ministry because I realized that despite the weaknesses of my church, we were strong in other ways and that this strength was our currency in moving God’s Kingdom forward in our communities of operation, as well as within our presbytery. 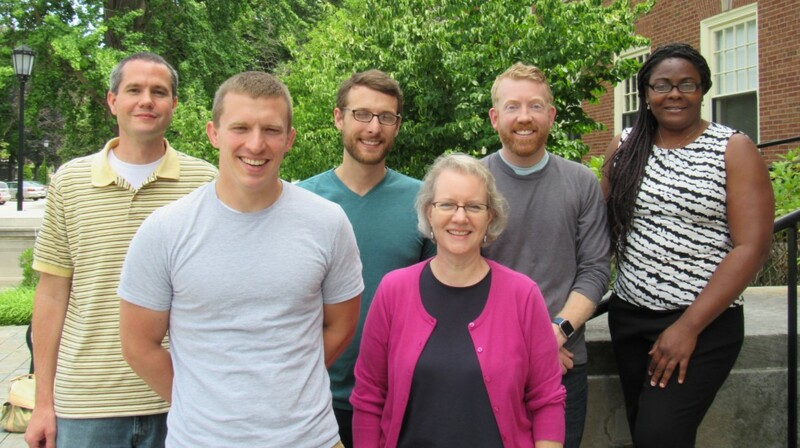 Having learned how to discern and better inform a congregation’s vocation, the experience participants received an assignment to conduct an ethnographic study of our ministry contexts. This exercise will draw on partners from our own ministry and the presbytery and will include contributions from the neighborhood. A report of findings will be submitted to Pittsburgh Theological Seminary and our church board, which will then present the report to the presbytery by way of defining how the presbytery might better help us fulfill our congregational vocation. The ministry experiences challenges us to a deeper research study of fulfilling our ministry vocation and is spanned over a five-year period. Each year, we address a particular aspect of fulfilling our congregation vocation. This will require me to meet with the same group of pastors in this experience for four weeks out of the year, broken into two periods of two weeks each time. I would be very grateful for the continued financial assistance of the Synod grant(s) to enable me step away from my congregation during those periods to enable me to participate in the experience. help de-mystify the process of churches and presbyteries becoming involved in and partnering with new and unfamiliar ways of doing and being church.